This is NOT a mod!!! This DOES NOT go into your Mods folder!!! This is for MACS ONLY!!! This is NOT for PC!!! Attention Mac users!! Have y'all ever wanted an easier way to remove those annoying special characters from file names?? Do you have 7458675846GB of mods and CC and want to make your game run a bit faster?? If you answered "yes" to any of those questions, then I have the solution for you. 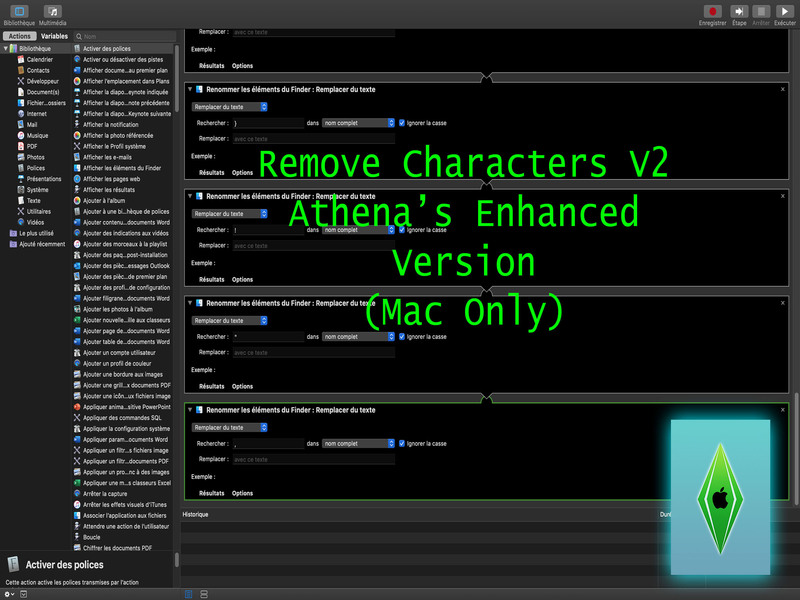 Introducing my new and improved Remove Characters V2 Automator App. 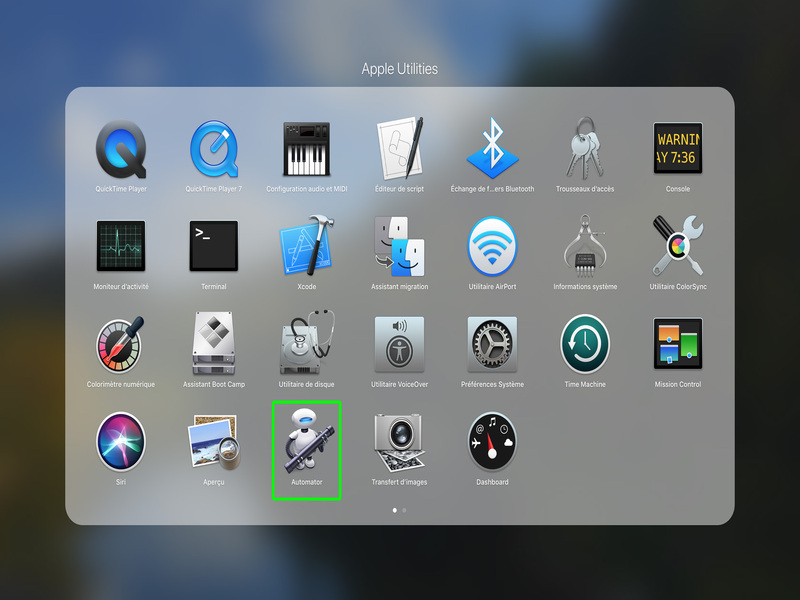 If you're wondering what in the world is this Automator thing, it's an app that already comes on your Mac (YAY!! No other software to download!!!). Automator lets you develop routines to make your life easier, like this app! Remove Characters V2 is an Automator routine that deletes special characters from file name, so you don't have to do it manually. This version adds removal of more special characters than BlueBellFlora's original version. 3. 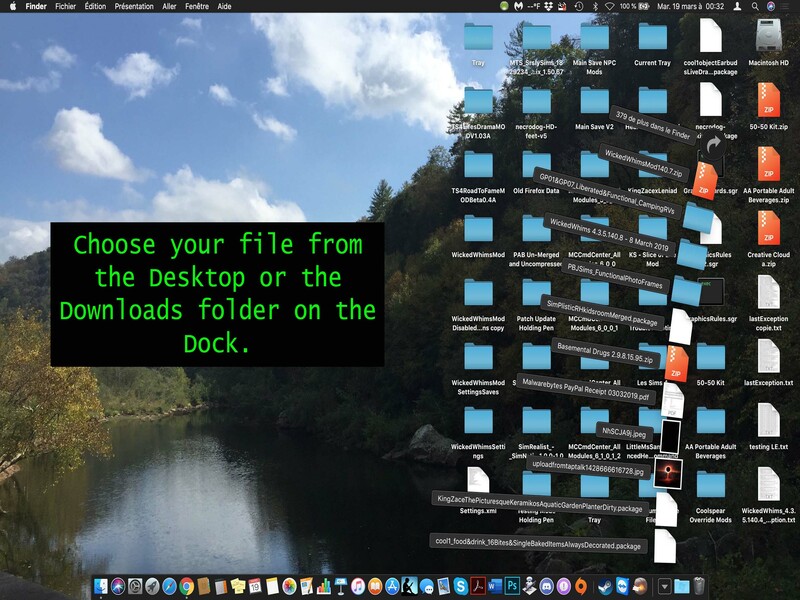 Drag and drop your files on top of the app in your Dock. 4. You'll see a gear at the task bar on top of your screen. You'll also hear a sound. This lets you know that the app is working. 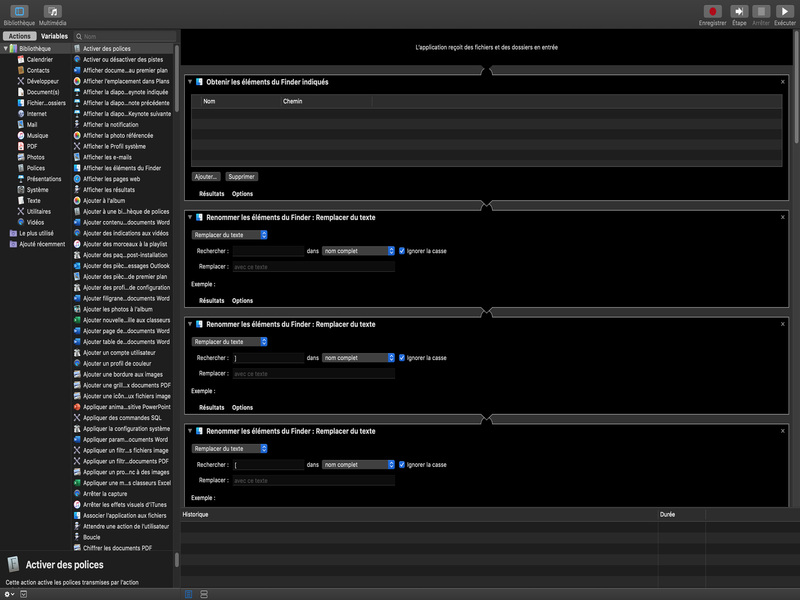 Remove Characters V2.zip | Description: Automator app for Mac only.